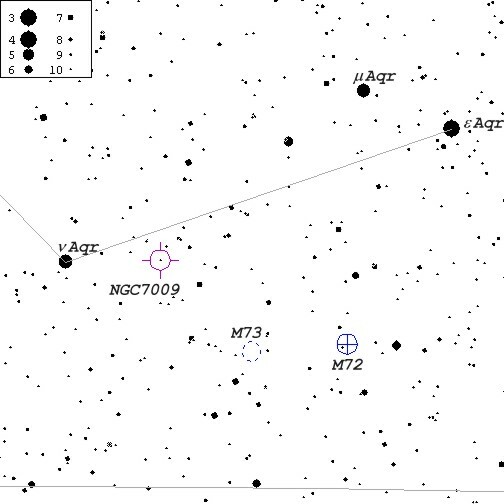 This Y-shaped asterism in Aquarius was noticed by Messier on Oct. 4, 1780. It is located 1°20' E of M72 (see finder chart below). Four members of the group are 10.5 mag., 10.5 mag., 11.0 mag. and 12.0 mag. 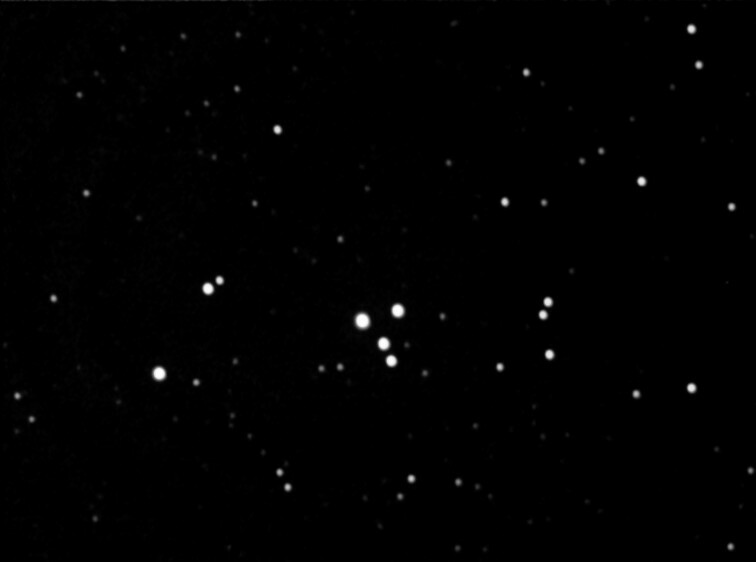 M73 image was taken on Oct. 17, 1998 from Sooke, BC using Cookbook 245 LDC CCD camera on Ultima 8 f6.3 telescope, autoguided with Cookbook 211 LDC CCD camera on piggybacked 500mm f8 telephoto lens. 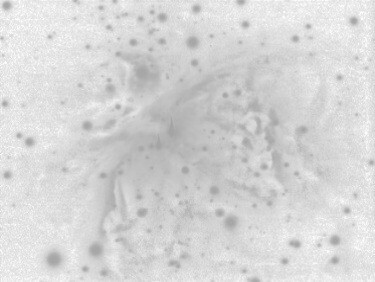 It is composed of white integrations (10 x 1 min.) processed with AIP4WIN.